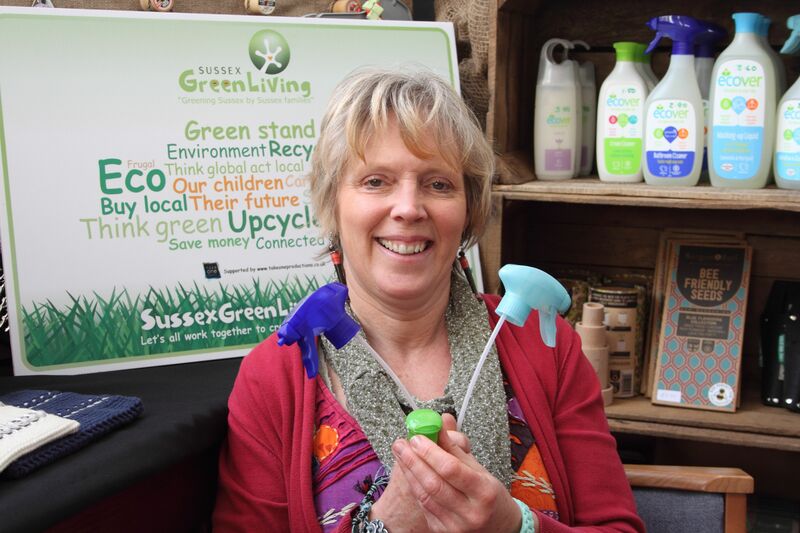 Carrie Cort on the Sussex Green Living Recycled Green Stand launching a new recycling scheme*. As part of this recycling scheme we are participating in a nationwide recycling competition called the Febreze Freshness Rewards Contest. 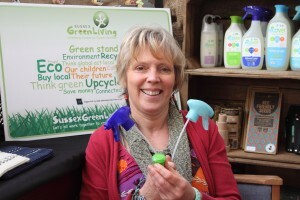 By collecting these waste resources local people can help secure a share of £5,000, which the scheme sponsors Febreze are offering (£1,000 being the top prize). Any brands and sizes of plastic bottle trigger heads and pumps (used for air care and home cleaning products such as kitchen / bathroom cleaner sprays). Any brands and sizes of plastic air fresheners, plastic electronic (i.e. plug in) air fresheners and plastic air freshener cartridges (including plastic car air freshener products). 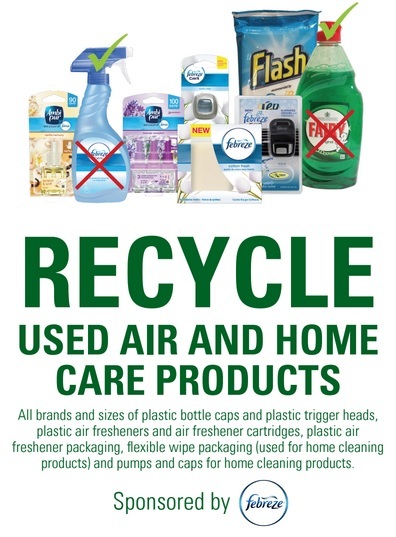 All related flexible plastic air care and home care product packaging of any brand (please remove any cardboard or other recyclable components first and recycle these with your household collections). Any brands and sizes of flexible wipe packaging (used for home cleaning products). Any brands and sizes of pumps and caps for home cleaning products. The Quaker Friends Meeting House in Worthing Road in Horsham where they have a 24/7 public collection point. 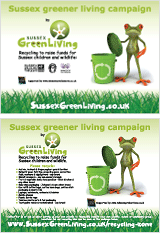 To read a press release about this launch visit this page, or you can learn about our other recycling schemes here. *Photo courtesy of Transition Horsham.